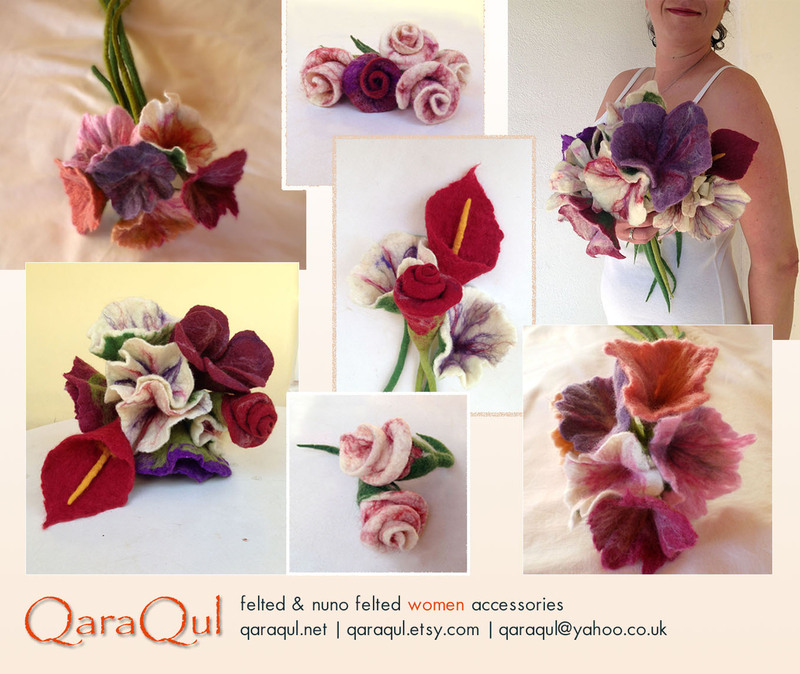 QaraQul's shop | Unique handcrafted, felted accessories! 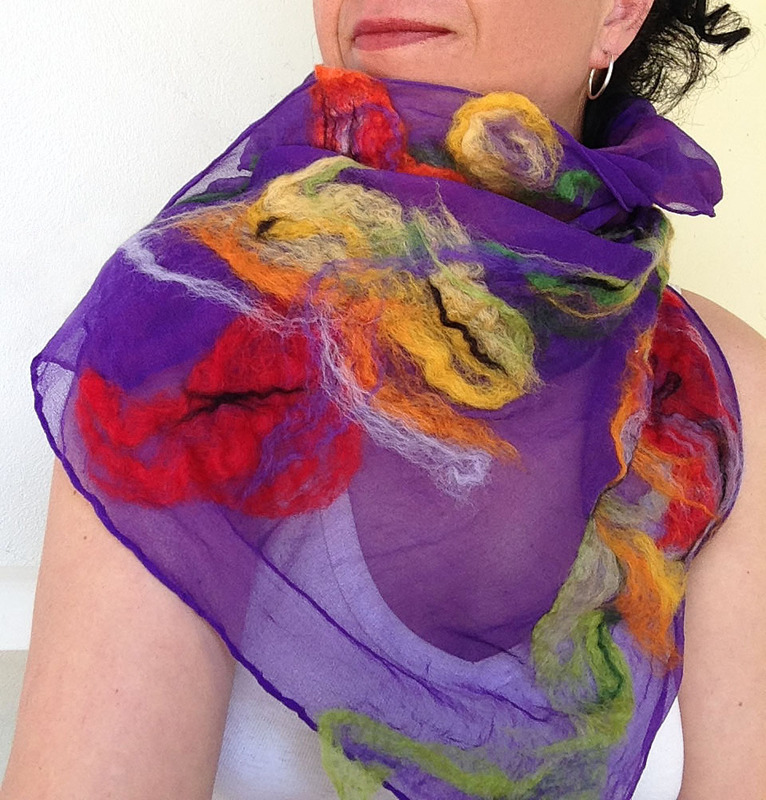 Eco-friendly and elegant felted scarves & jewelries! 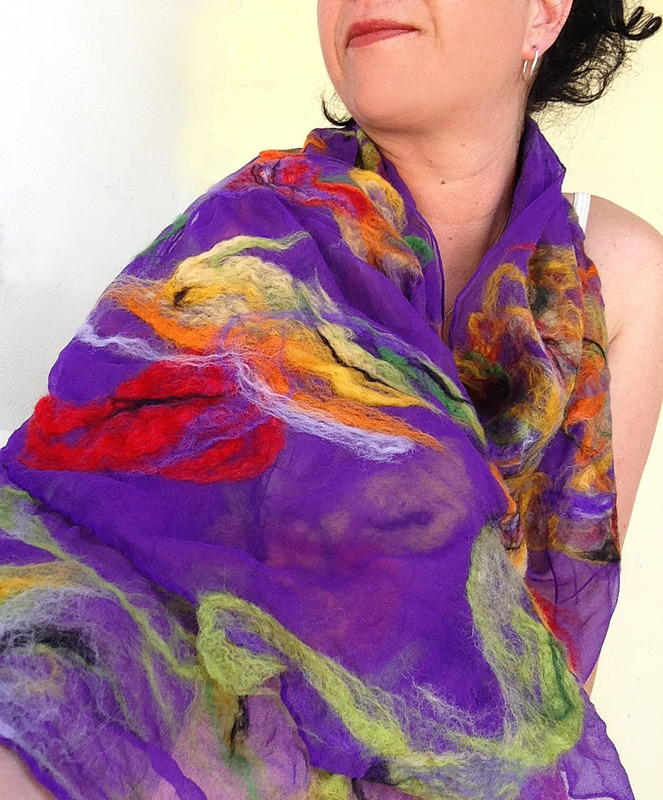 This airy and elegant scarf is hand-felted especially for you who search for an exceptional and silky-smooth gift for a unique occasion and for your beloved ones. Make your unique moments handmade! 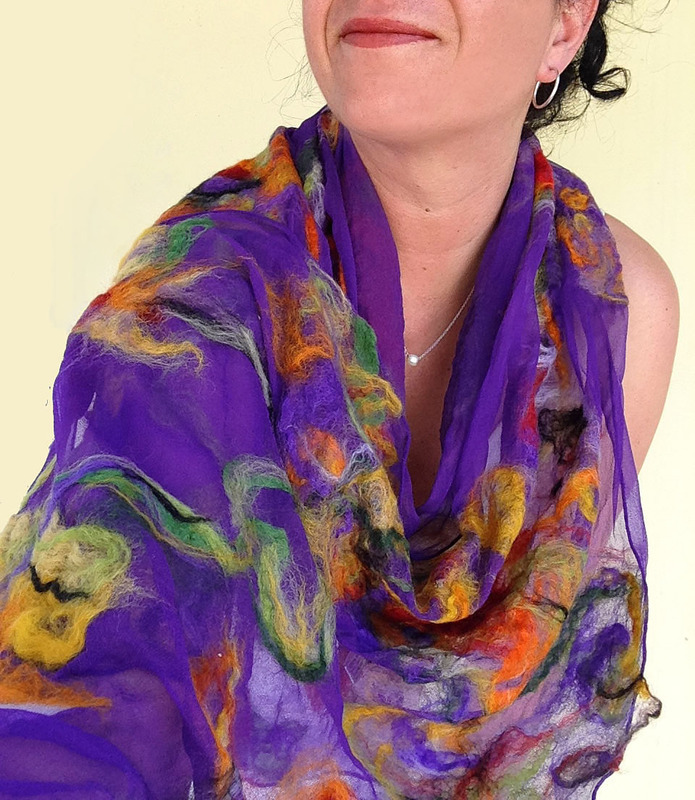 This nuno-felted scarf consists of chiffon silk (100%) in violet colour and extra-fine (18 mic) merino wool from Australia and New Zealand in a punch of colors; purple, violet, mustard, yellow, orange, red, black grass green and green! 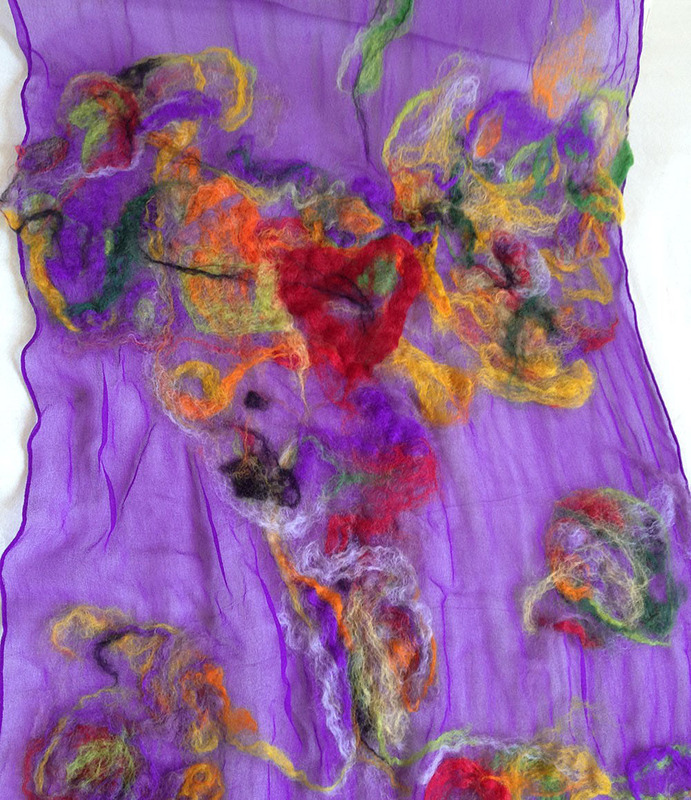 The violet chiffon silk is used as a basis for the scarf and the wool is applied on the top in order to create the patterning. 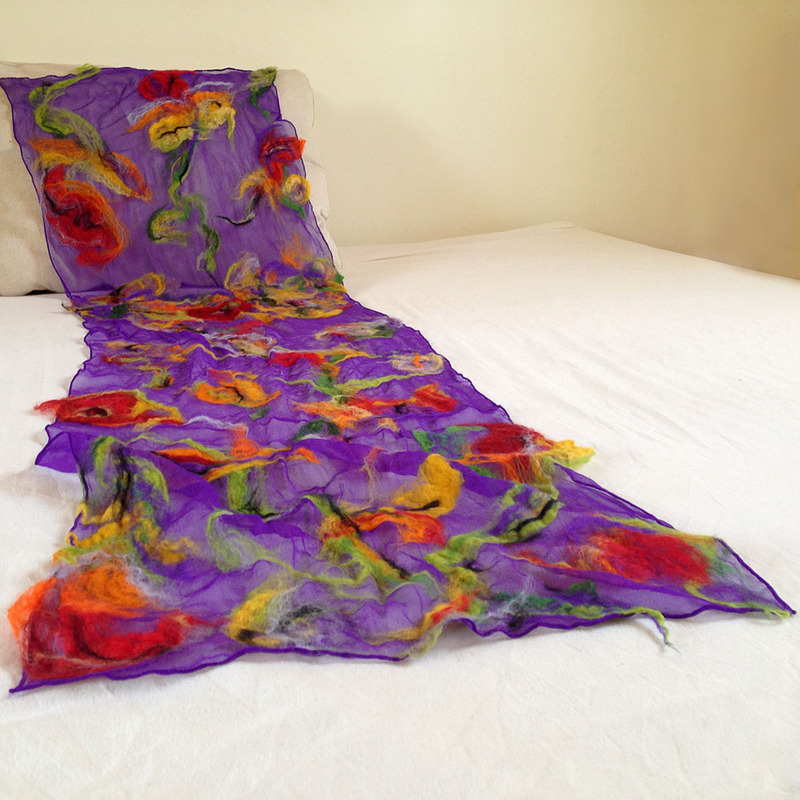 The scarf measures approximately 162 cm (63.7 in) length and 48 cm (18.8 in) width. The combination of wool in thin layers and silk gives a very light and airy; sometimes even sheer fabric! 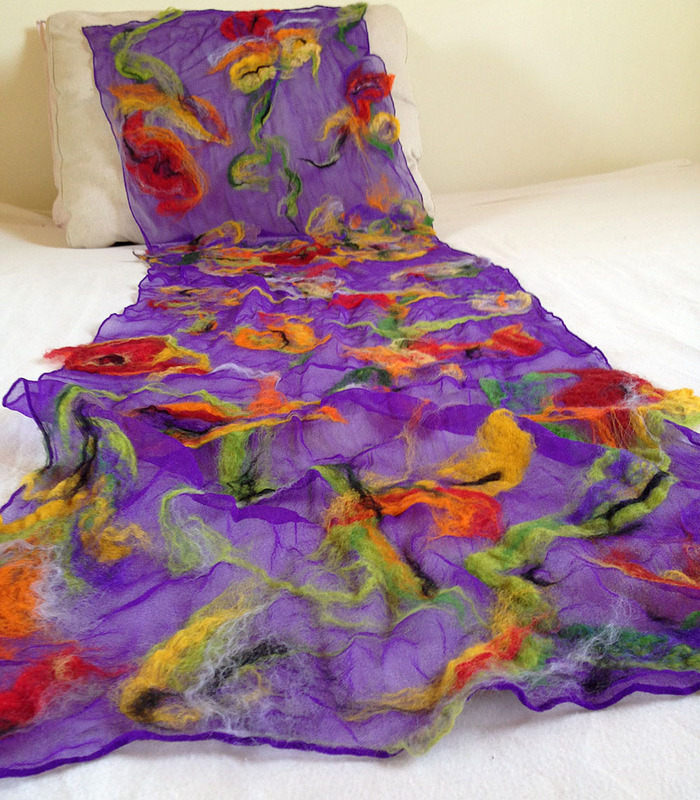 As all scarves made by QaraQul, this one also, are a unique piece! Did you fall in love with a book? You can’t stop reading it but it is late at night and tomorrow you have to go to work? 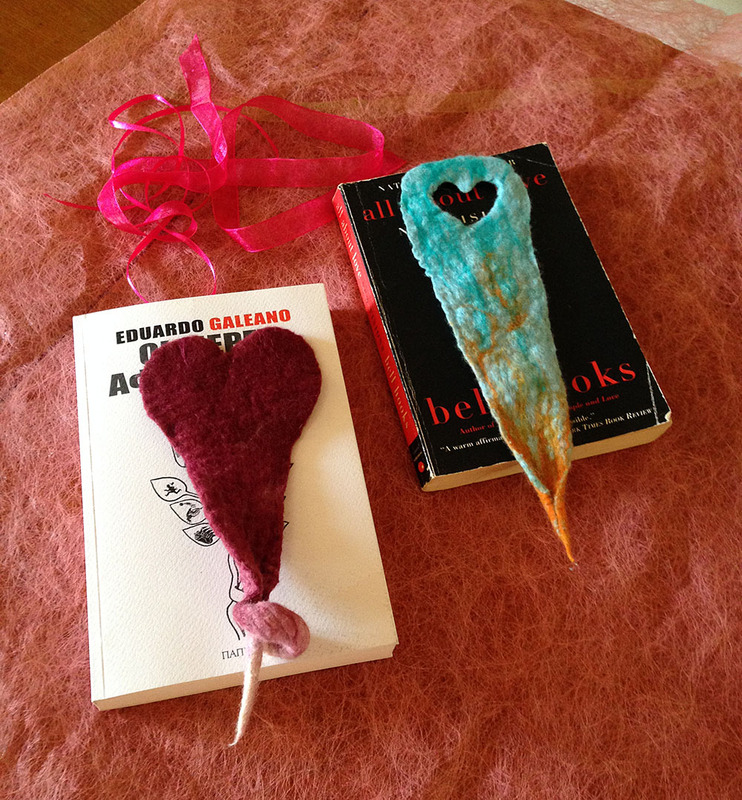 This adorably cute bookmarker will help you never lose your place in your favorite book. 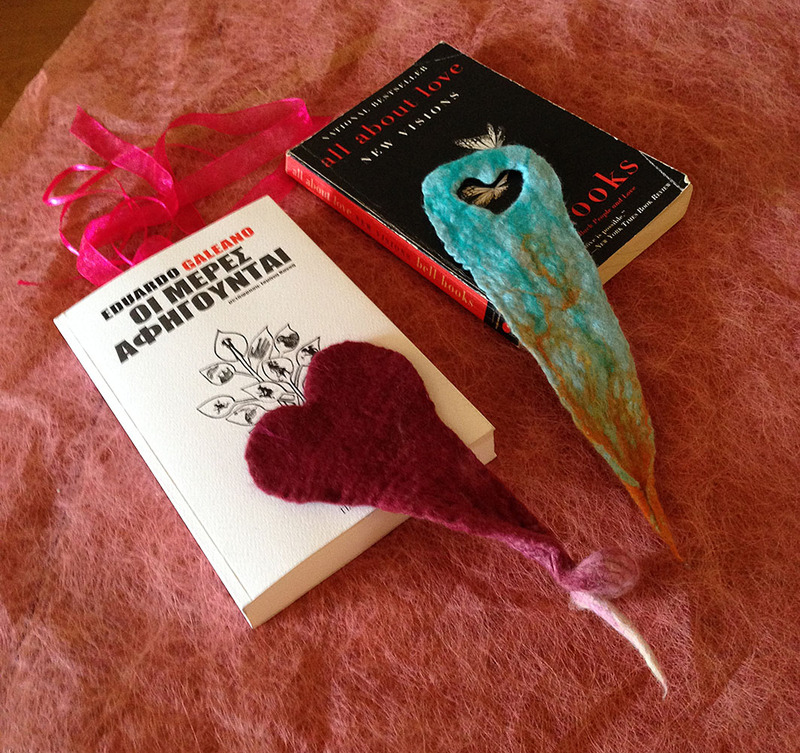 The ideal gift for all booklovers either for yourself or for your loved ones. This bouquet is made to order only! If you are interested please let me know any color preferences of the flowers. The bouquet needs approximately 2 weeks to be ready for shipping!